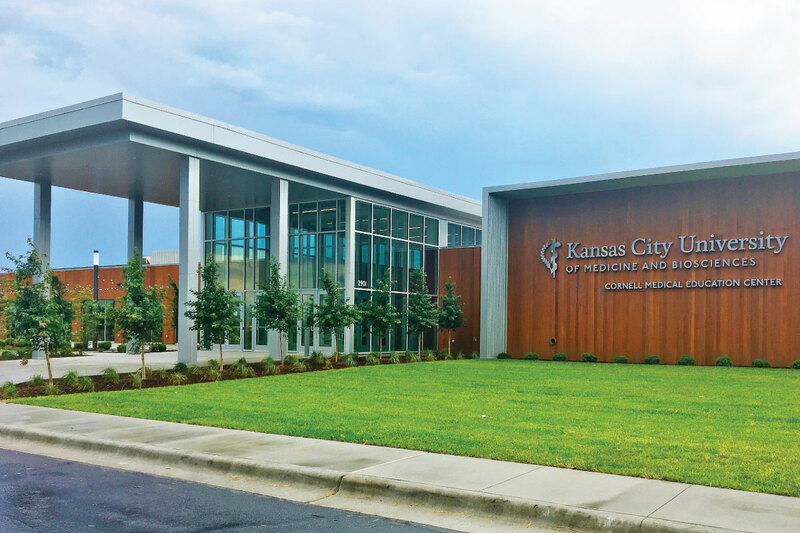 The expansion of KCU into Joplin, Mo., marks a significant milestone. KCU-Joplin is the first medical school to open in Missouri in nearly 50 years and the only medical school in the southwest region. KCU-Joplin’s new building features state-of-the art facilities and technology, including a new 200-person lecture hall, a cutting-edge patient simulation center and new anatomy and OMM labs. The renovated 150,000 square foot building is on approximately 40 acres of land, both generously donated by Mercy Hospital. Nestled in the southwestern corner of Missouri, Joplin is home to approximately 50,000 people. However, 400,000 people live in the 40-mile radius surrounding Joplin, making the city the 4th largest metropolitan area in Missouri. A nature lover’s dream, Joplin boasts scenic locations such as the Chert Glades in Wildcat Glades Park or the Grand Falls on Shoal Creek. Residents lead an active lifestyle with the no end of walking and biking trails within and around Joplin.